What an honor it is to be invited back to Kitchen Stage at the Salt Lake Tribute Home and Garden Show! 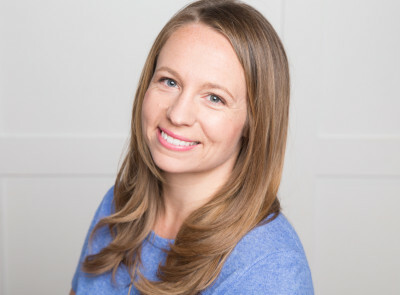 This show I’ll be making four quick and healthy springtime recipes that the whole family will love – fudgey chocolate overnight oats, pineapple green smoothie, cauliflower mac n’ cheese, and avocado deviled eggs. If you’re able to make it, I’ll be there today, Friday March 9 and Sunday, March 11 at 2:30. Hope to see you there! 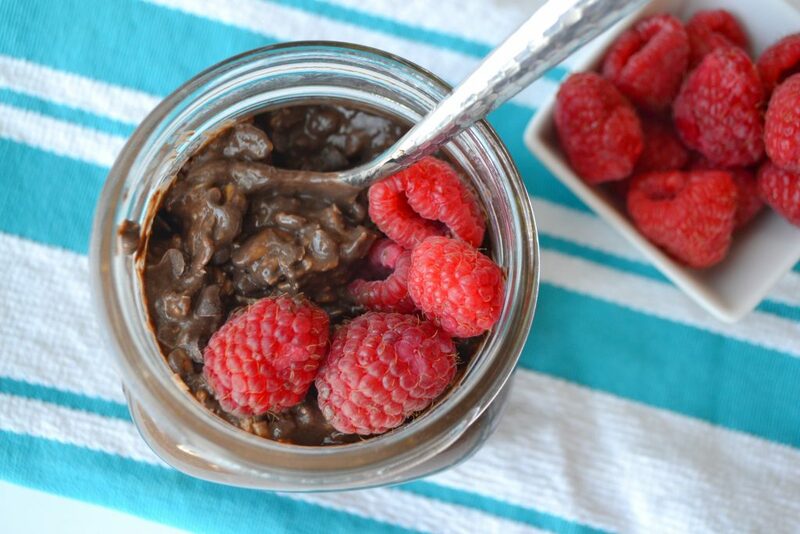 Brownie batter overnight oats is a healthy, no-cook breakfast that you assemble the night before and in the morning it’s ready to eat! I like to make them in big batches so that I prep it once, and we eat it all week. 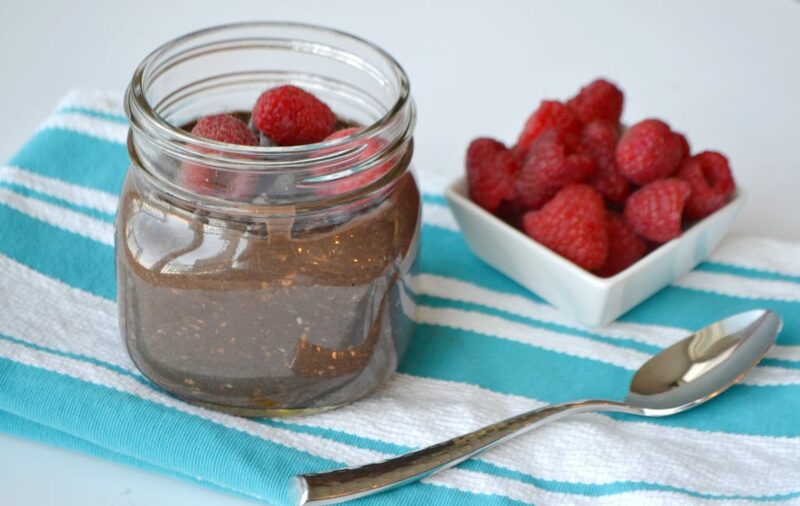 This recipe is also perfect for that late-afternoon or after-dinner sweet tooth, because it will more than satisfy your deepest chocolate craving, yet you don’t have to feel guilty about eating it! Plus it only takes a total of 5 minutes to make! 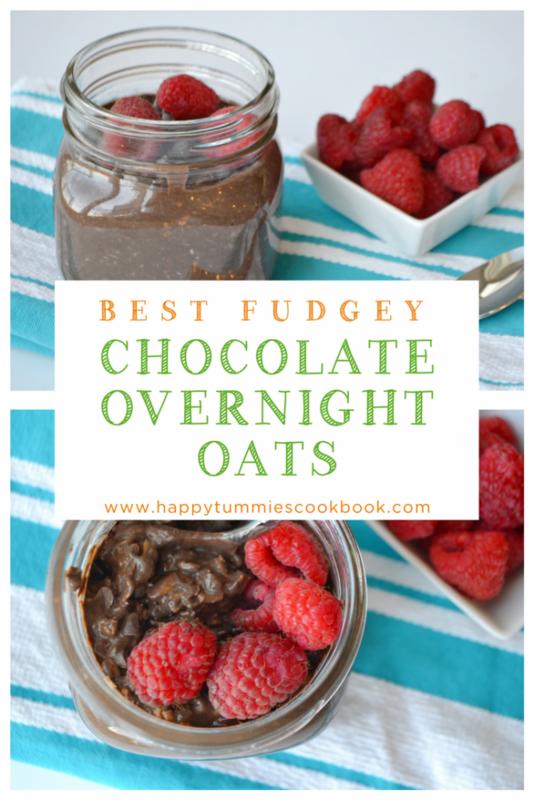 It’s fabulously chocolatey and fudgy! Stir all the ingredients together in a medium bowl. Cover and refrigerate overnight. 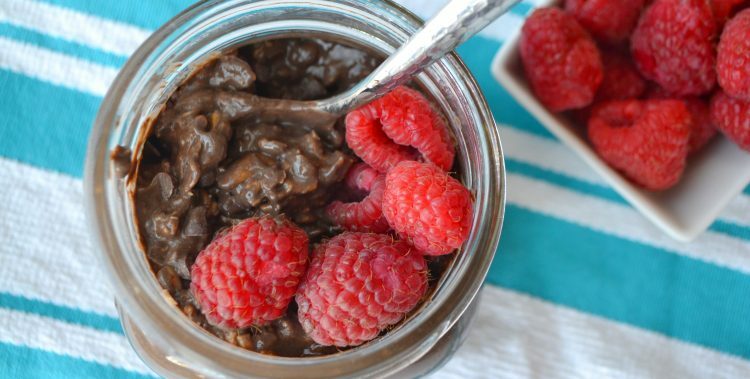 The next morning, scoop out your serving into a bowl and top with dark chocolate chips, diced strawberries or raspberries, if you like. 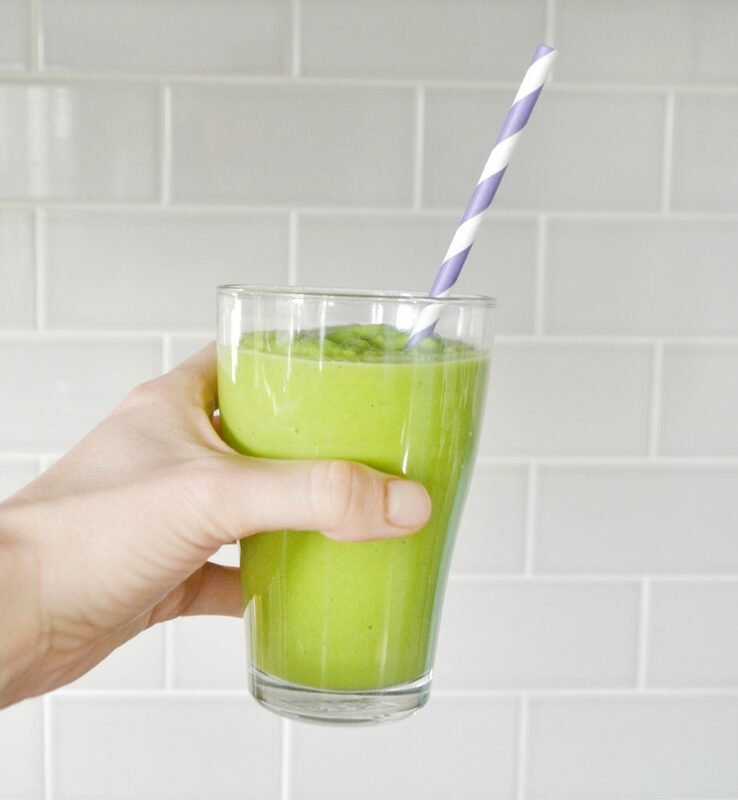 Celebrate St. Patty’s Day with a healthy green smoothie! This one is packed with Vitamin C and A, fiber, iron, omega-3 fatty acids, healthy fats, and natural elecrolytes. Kids love this smoothie because it’s sweet and creamy (mine always devours it!). Parents love because it’s loaded with fruits and veggies. 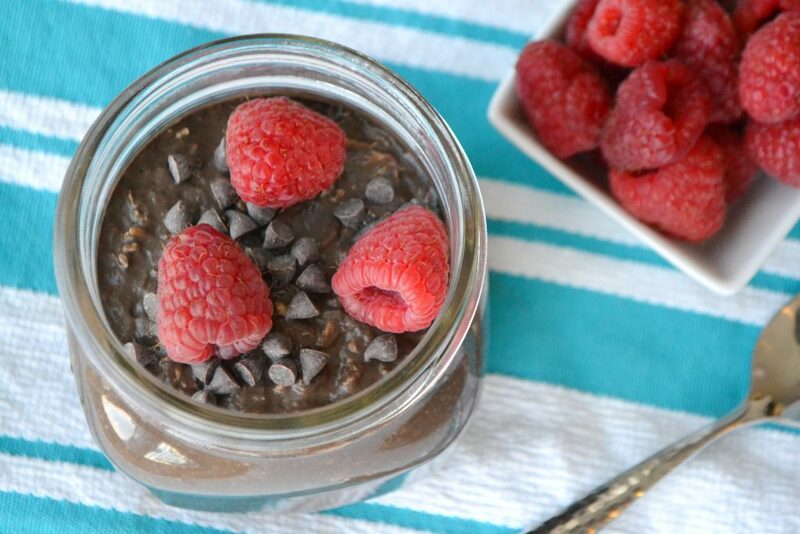 Blend all of the ingredients together in a blender until smooth! Macaroni and cheese is a classic comfort food, and is a popular Easter side. 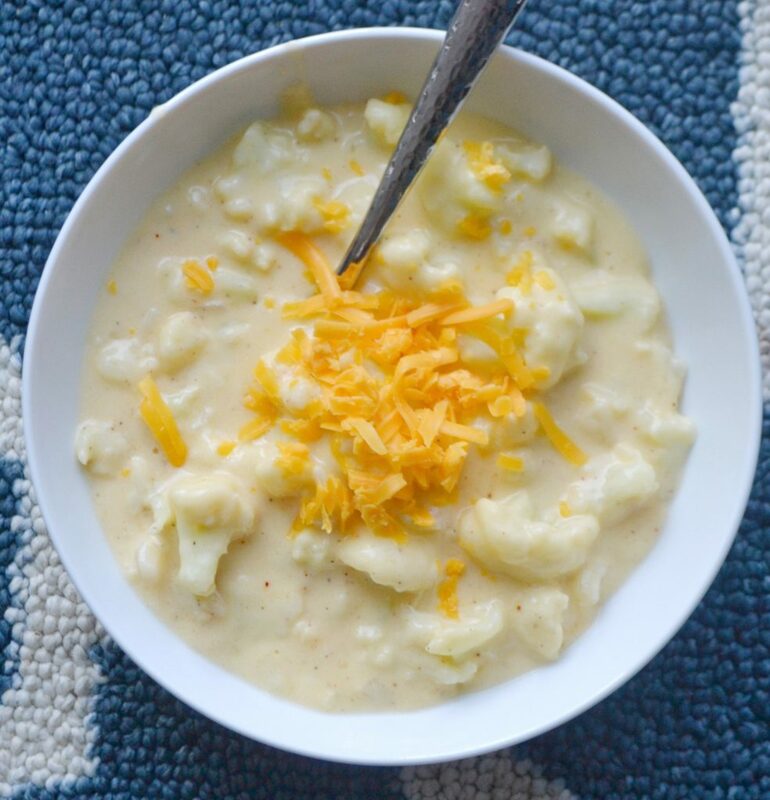 Since I am always trying to get more veggies into my family’s belly, I came up with this creamy, cheesy and addictively delicious dish that tastes like the most epic bowl of macaroni and cheese, only better-for you! Bring a large pot of water to a boil. Add cauliflower florets and cook until al dente, about 5 minutes. Drain and set aside. Next, make the cheese sauce. Add the butter and onion to a skillet, and cook until the onion is soft, about 6 minutes. Stir in the flour, coating the onion. Briefly remove from the burner and stir in the milk. Place the skillet back on the heat and cook on medium until thickened, making sure the milk doesn’t boil. Whisk in more flour to thicken the sauce if need be. Remove from the heat, and then stir in the cheese and cayenne until combined. Season with salt and pepper. Add the cauliflower to the cheese sauce, and stir to coat. Combine the breadcrumbs and butter in a microwave safe dish. Microwave 1-2 minutes, or until the butter is melted. Mix until combined, then serve over cauliflower mac. Serve as a main dish or side. Growing up my mom always made deviled eggs for Easter. This healthy twist is better for you than the traditional-style deviled eggs, but still has the comfort-food taste. The filling is creamy and delicious, and the sriracha adds an unexpected kick, to really make this snack a hit. Scoop the avocado and egg yolks into a bowl. Mash with a fork until smooth and evenly combined. Stir in lime juice. Spoon the filling into each egg white (or use put the filling in a pastry bag and pipe the filling into the egg holes if you want it to look neat and clean) then top with a sprinkle of paprika, a dot of sriracha and a heavy sprinkle of salt. Serve immediately or cover and refrigerate for up to 3 hours. 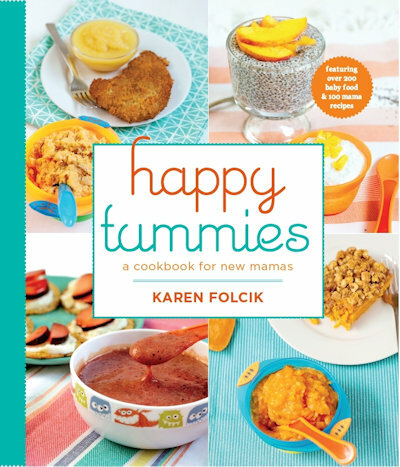 If you make these recipes, share your photos and tag @happytummiescookbook so I can see what you’ve made and like your photos!